Our hobbies include much more than just Ham Radio... Below are a few things we do to feed data to the World Wide Web. The following links are streaming audio links to local ham radio repeaters, the N5MBM AllStar repeater system and local fire/EMS/police frequencies. This uses sofware called ScannerCast from k1pgv.com to capture the audio coming out of my scanners, digitizing it into an audio stream and sending it out to you directly via the Internet or via the services of RadioReference.com. It uses simple audio streaming technology to allow you to listen to my radios. W5AUM Repeaters in Brenham TX. - Live Audio Feed Via RadioReference.com - DOWN - Icom IC-2410H on dual band antenna at 25 ft. AGL. LISTEN TO IT LIVE! Usually parked on 147.260 or 443.250. We broadcast in stereo, so when you are listening, you will notice the 147.260 on your left channel and 443.250 on your right channel. Local Chappell Hill N5MBM Ham repeaters - Live Audio Feed Via RadioReference.com - Operational - The N5MBM Chappell Hill repeater system covering 2m, 440, 220 and 33cm. N5MBM 6m repeater - Live Audio Feed Via RadioReference.com - Operational - The 52.35 MHz N5MBM 6m repeater connected to the world-wide WIN system 24/7/365. 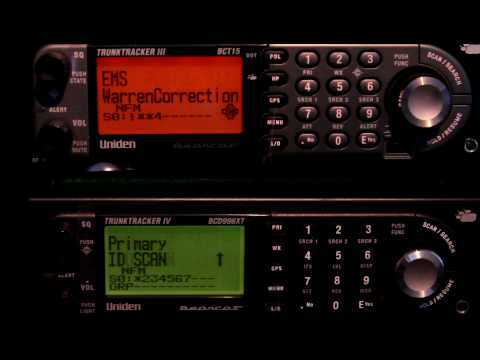 Washington County Fire/EMS/Police - Live Audio Feed Via RadioReference.com - Operational - Uniden Bearcat BCD996XT scanner, antenna at 20 ft. AGL. Scanning County and City EMS, VFD, Bluebonnet power restoration crews, Brenham Dog Catcher, Blinn campus, Police, DPS and Sherriff frequencies. Brenham and Local Airports - Live Audio Feed Via RadioReference.com - Operational - Utilizing a Realistic Pro-2020 and a Pro-2021 scanners, in stereo, one on the left channel and one on the right channel. Antenna is at 20 ft. AGL. Scanning 95 frequencies for local airports and air to air communications in Brenham, Navasota, other local strips and Houston approach frequencies. Lee County Fire/EMS/PD - Live Audio Feed Via RadioReference.com - Operational - Realistic Pro-2020 scanner, antenna at 20 ft. AGL. Scanning Lee County area Fire/EMS/PD frequencies. Colorado County Public Safety - Live Audio Feed Via RadioReference.com - Operational - Realistic Pro-2020 scanner, antenna at 20 ft. AGL. Scanning Colorado County area Fire/EMS/PD frequencies. Grimes County Public Safety - Live Audio Feed Via RadioReference.com - Operational - Realistic Pro-2020 scanner, antenna at 20 ft. AGL. Scanning Grimes County area Fire/EMS/PD frequencies.